There has been a massive social media buzz surrounding the Blogfest - I find that very exciting as I believe that digital is the only way forward and this buzz only confirms that. Kudos to Zahir Rahimtoola for being such a visionary and appreciating and actively participating within the digital space. 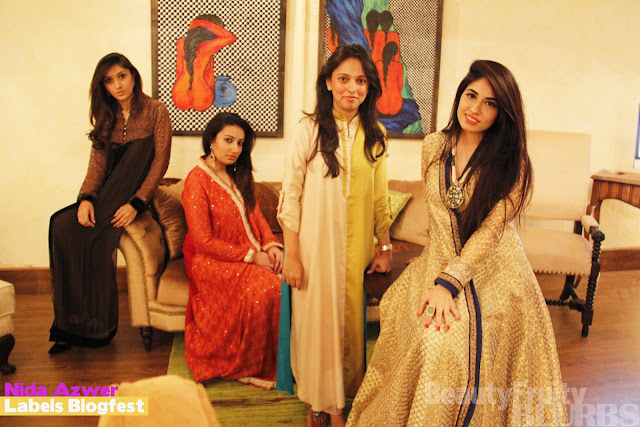 We had a great time getting styled by the designers, they were all so full of life and enthusiastic about the event. What I liked most was how supportive they were of each others talents. 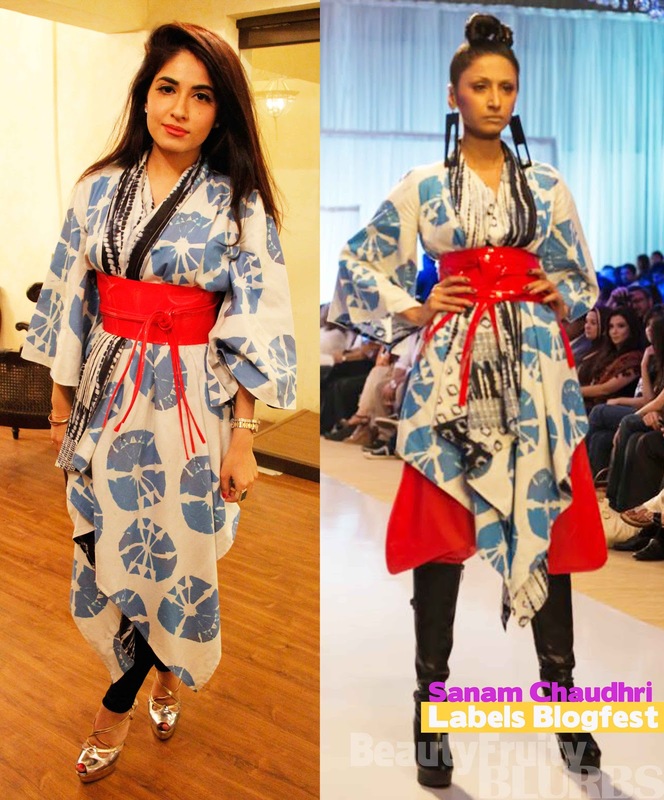 Sanam Chaudhri mentioned to the Secret Closet girls that "clothes are made for real people, not just the models." 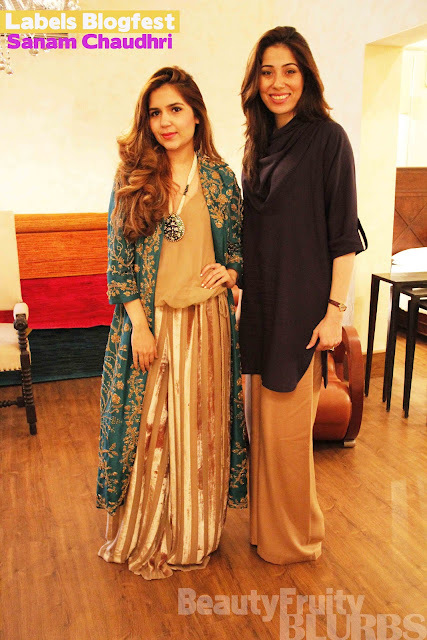 The pictures below show how gorgeous these clothes look on real people as well as on models. Ayesha styled us in pieces from the S/S'13 collection she recently showcased at Fashion Pakistan Week London. Ayesha and I going through the racks, picking out an outfit for me. Putting the finishing touches on the beautiful AFH design Amara (Pink2.55) is wearing. Amara wears another stunning piece from the collection. Amara and I with Ayesha. Ayesha showing Sana how to wrap the dress around. Such a fun piece. To buy AFH pieces click here. 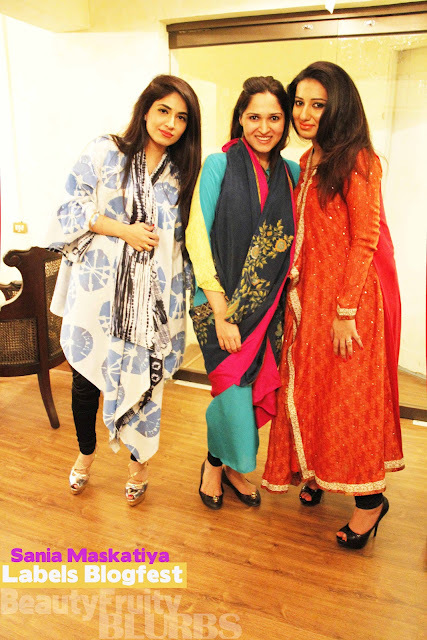 Nida Azwer dressed the girls in her pret collection that is available at Labels. 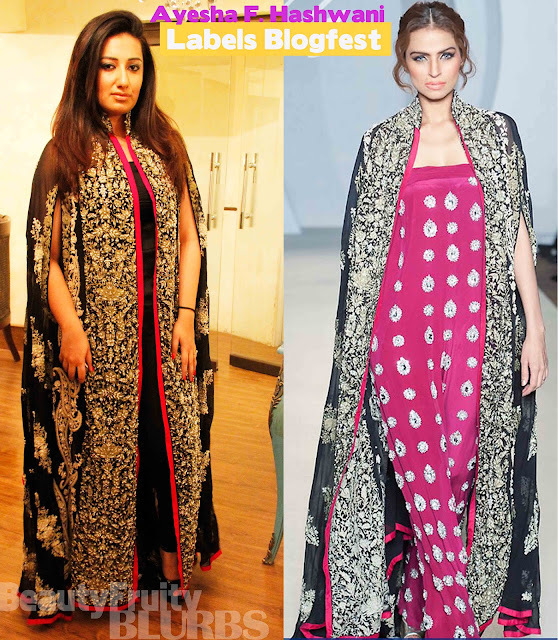 I wore a stunning piece from the 'Chibali' collection. 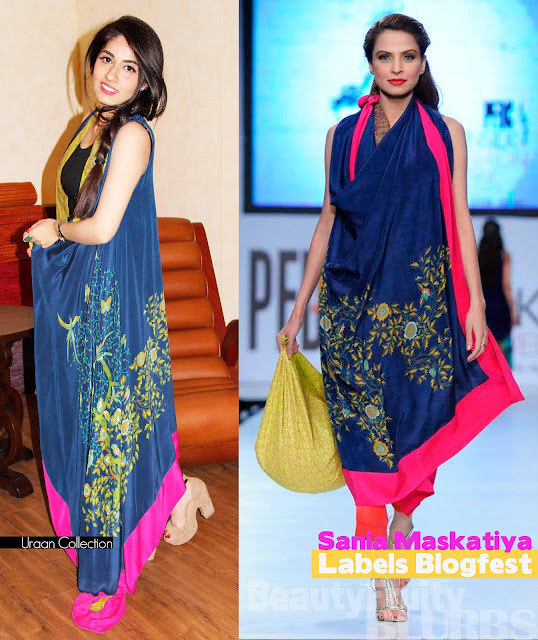 The angarkha I was styled in is one of my favourite pieces from this particular collection. It is absolutely divine and looks so regal. 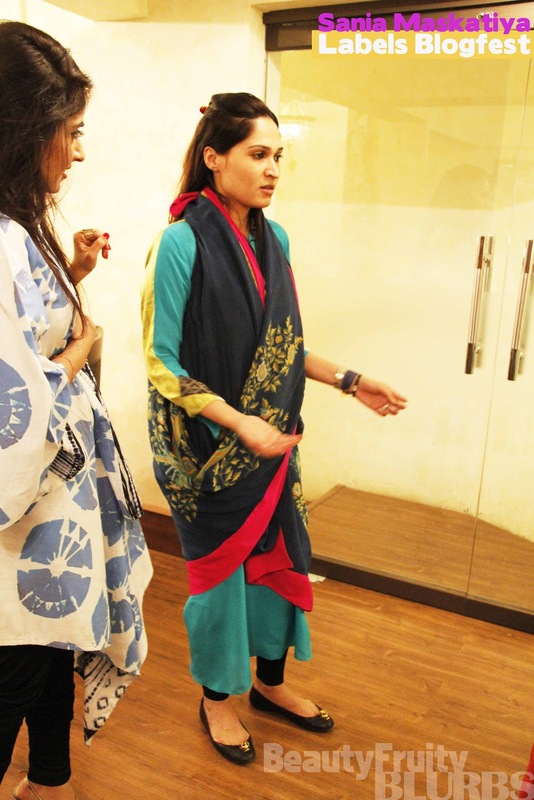 Nida Azwer going through the Labels racks, picking out pieces for the bloggers. Nida and I. I am also wearing an exquisite necklace from Sherezad's collection. 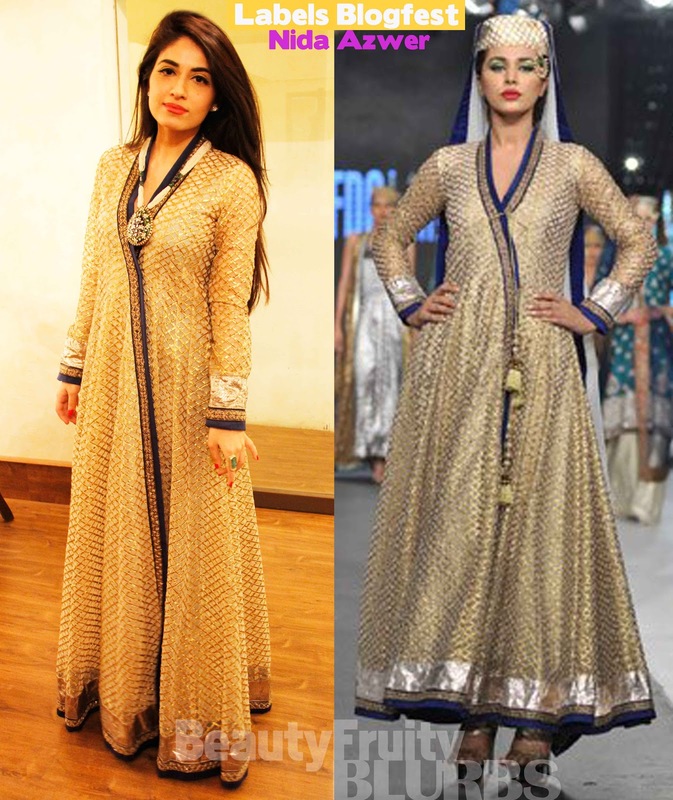 To purchase Nida Azwer pieces online, please click here. 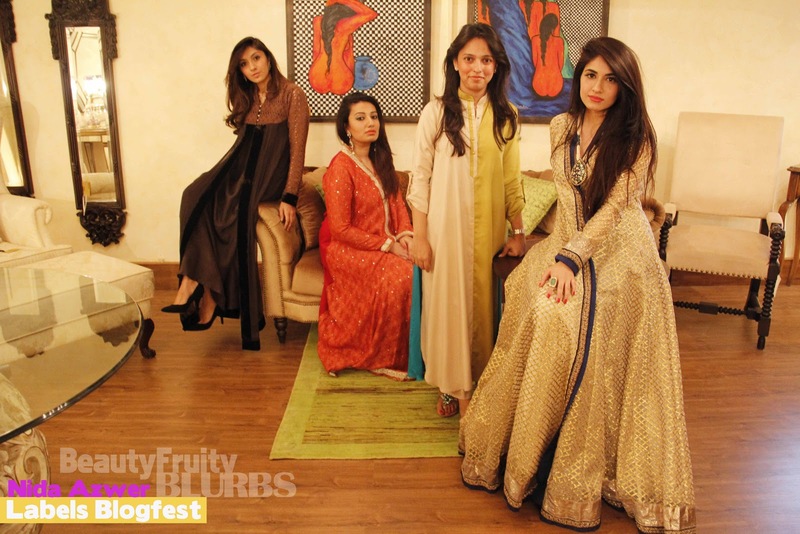 Sanam Chaudhri dressed the girls in her 'Luxury Pret' collection. 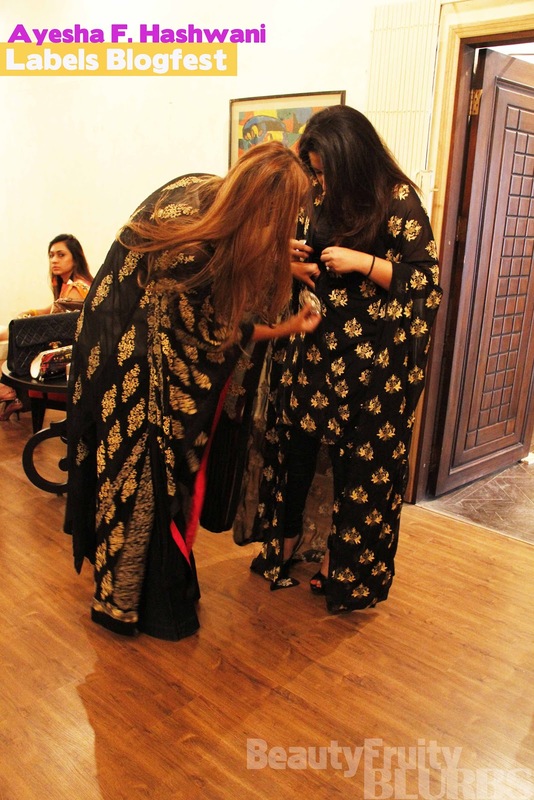 I wore a super funky piece from the 'Kage' collection recently showcased at FPW4. 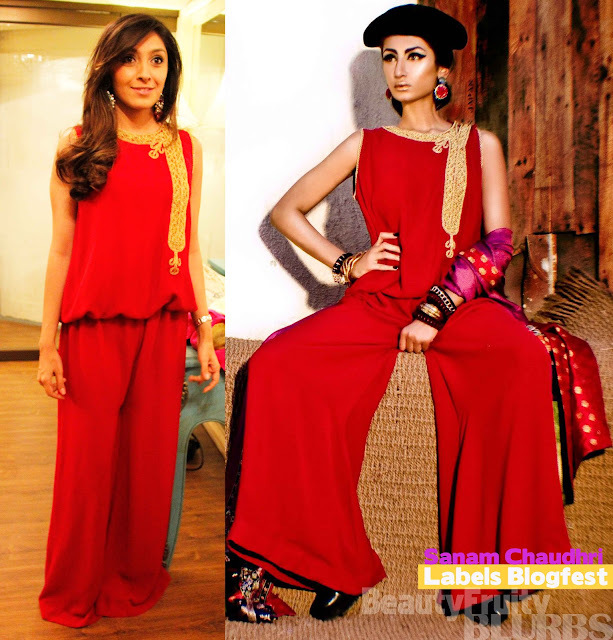 Aisha wearing a red jumpsuit from the 'Luxury Pret' collection. Click here to buy this piece. Styled in a piece from the 'Kage' collection. Click here to purchase the jumpsuit. Click here to purchase the coat. 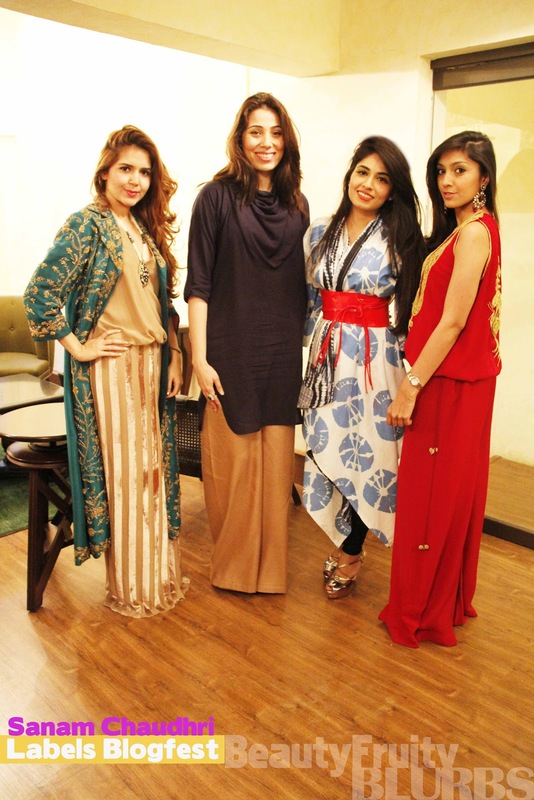 Sana, Sanam, Aisha and I.
Sania Maskatiya styled Amara and I in pieces from the Lokum and Uraan collection. Sania showing us how the cape can be styled in a number of different ways. 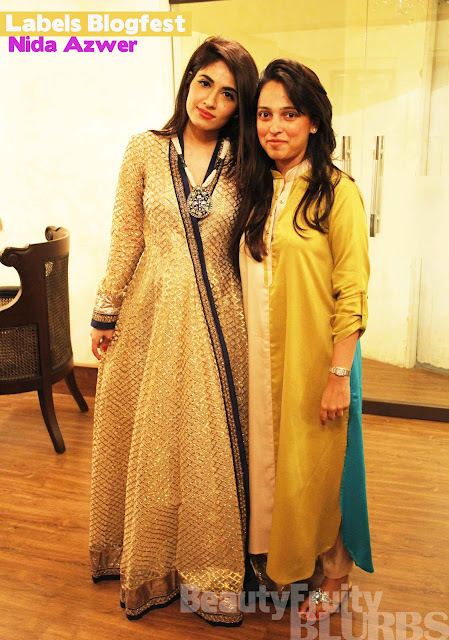 A quick picture with Sania before we rushed off to get changed into her pieces. 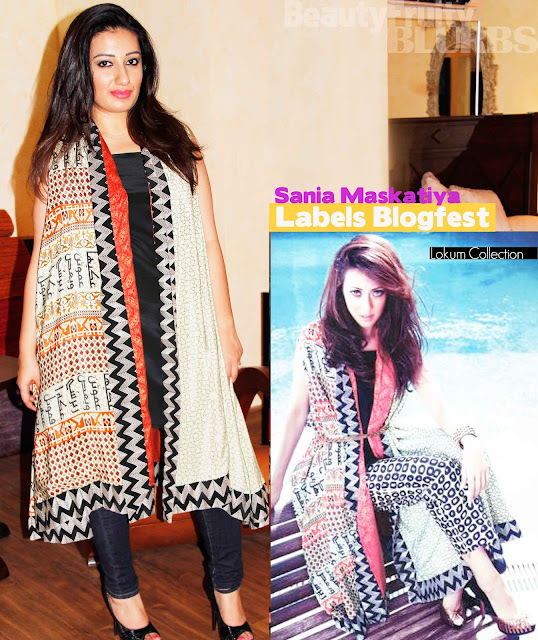 Loved the print and colours. 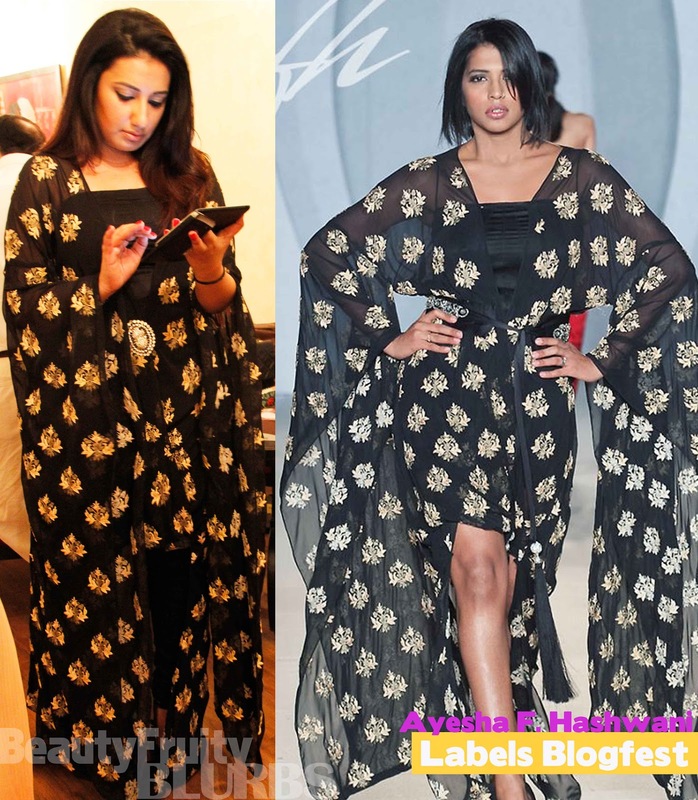 This cape was from the Uraan collection. Click here to purchase. Amara wears a cape from the Lokum collection. 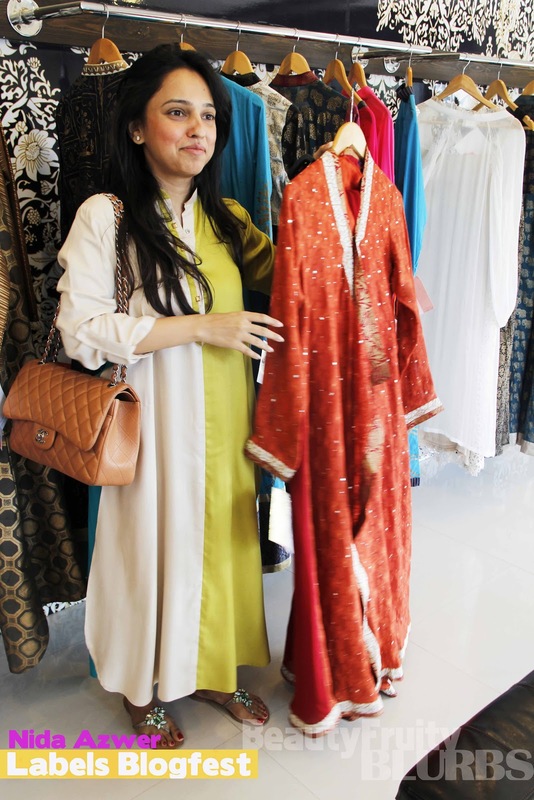 This piece is also very versatile can be worn with a number of different outfits. Click here to purchase. Click here to purchase other Sania Maskatiya designs. Keep checking back for Part two. I have three more phenomenal designers to take you through! !